Ripple has projected that banks that use the Ripple network and its native cryptographic token XRP for cross-border payments can save up to 42% when compared against today’s options. The findings are part of a new 15-page report issued today by the distributed ledger technology (DLT) startup. Entitled “The Cost-Cutting Case for Banks”, it finds Ripple offering clarity as to the cost-savings its products can realize for the first time. 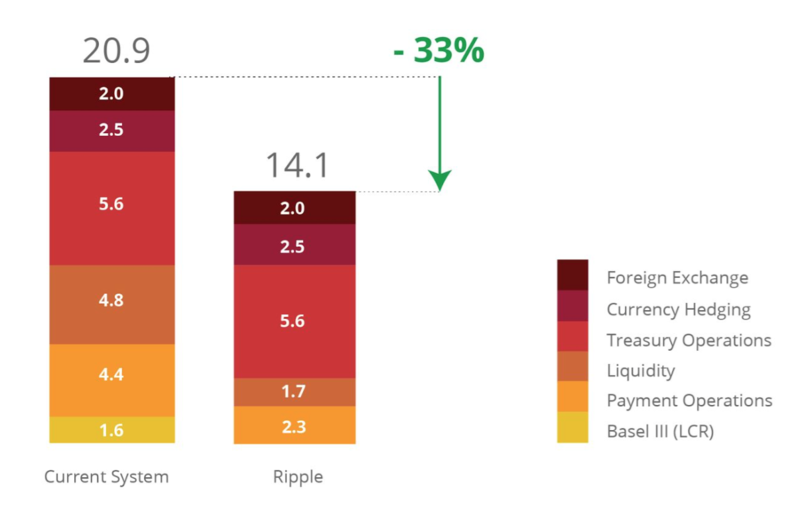 Further, the report projects respondent banks using Ripple without XRP can save 33% on international payments, with savings being generated by a 65% reduction in liquidity costs, a 48% drop in payment operations costs and a 99% decline in Basel III compliance costs. The release comes at a time when blockchains and distributed ledgers are being widely touted as having the potential to bring new efficiencies and savings to a variety of industries, particularly finance. However, there has been a lack of information as to the levels of such savings the technologies can achieve, largely since most projects are still in development or are being built behind closed doors. Ripple instead has the advantage of experience working with financial institutions including a number of banks, as well as Western Union, Japan’s SBI Holdings and global payment hub Earthport. Still, the projected figures are based on “model assumptions”, meaning its unclear how the report was informed by any real-world data about its clients’ use of the service. Perhaps most notable about the report is its implications for XRP, the cryptocurrency that is used to facilitate trades on the permissioned Ripple DLT system and that trades on an open market on digital currency exchanges. More recent Ripple announcements have found the company largely glossing over the role of XRP in its system. For example, the Interledger protocol, released in October, sought to create a way to exchange funds between ledgers without a “digital asset”, as it is described in the report. Like bitcoin and other digital assets, XRP is a store of value that can be transferred between parties anywhere in the world without a central counterparty. However, Ripple stresses that XRP can also support liquidity between any two currencies, acting as a bridge asset. Instead of holding local currency in many accounts around the world, banks can instead bring their liquidity for global payments into just one XRP account, the paper argues. 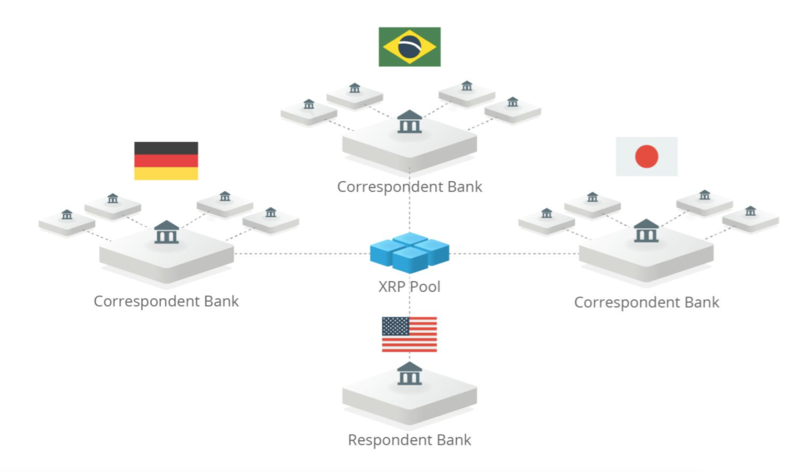 “This singular XRP pool then allows respondent banks to allocate less total liquidity to service the same volume of international payments,” Ripple writes. Further, this process allows banks to minimize the number of intermediaries involved and their markup on spread, it says. As a result, claims Ripple, respondent banks that use the Ripple network with XRP as a bridge currency can save up to 42% on costs today, and potentially up to 60% as XRP gains usage and volatility decreases. As for whether bitcoin and other blockchain platforms can provide similar savings, Ripple says that’s a “different story”. 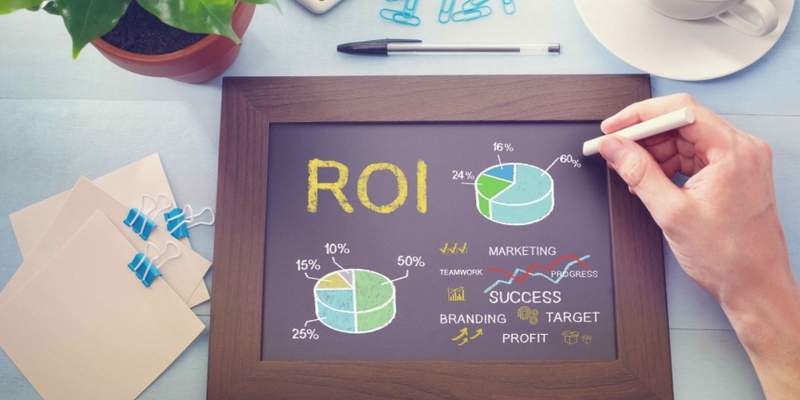 The bulk of the report, however, finds Ripple analyzing the ROI of a respondent bank using Ripple in several scenarios. Summarising the problem today, the firm explains that cross-border payments are processed through a chain of banks with each intermediary representing a “potential point of delay, failure and cost”. Smaller, respondent banks depend on large correspondent banks to provide liquidity for their cross-currency payments, but are required to maintain liquidity in nostro (foreign) accounts with the correspondent banks. The costs of this process make servicing certain types of cross-border payments, such as low-value payments, unprofitable for banks. However, DLT-based solutions like Ripple, enable “instant, point-to-point settlement”, reducing these liquidity requirements, the firm says. Furthermore, by providing end-to-end visibility, Ripple reduces operational costs associated with reconciling exceptions and failures.